Take Rt. 322/40 West into Pleasantville. Turn left onto Rt. 9 South, go approximately one mile, turn left onto Ridgewood Ave. West. 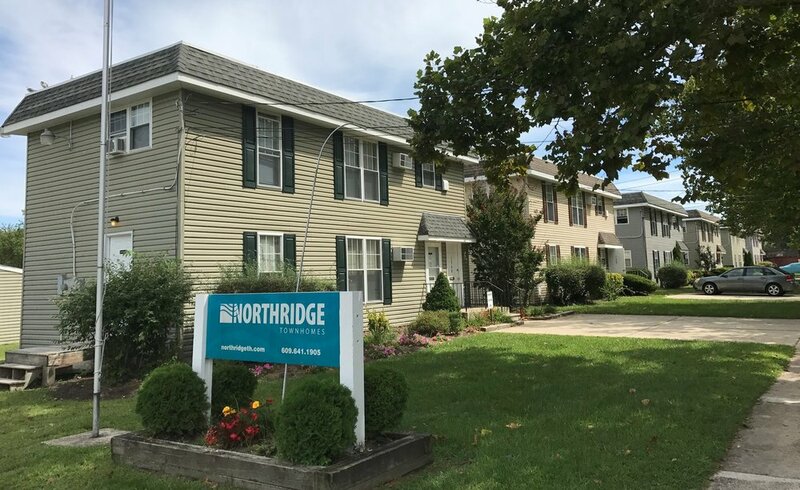 Northridge Townhomes management office is located at 134-A Ridgewood Ave. W.
Take Walt Whitman Bridge to Rt. 42 East. Follow to Atlantic City Expressway. Get off Expressway Exit #5 (Pleasantville) and make a right turn onto Rt. 9 South at end of ramp. Follow Rt. 9 for approximately 1.5 miles, turn left onto Ridgewood Ave. W. Northridge Townhomes management office is located at 134-A Ridgewood Ave. W.
Take Garden State Parkway South to Atlantic City Expressway East (towards Atlantic City), Exit 37. Take Exit #5 (Pleasantville), turning right onto Rt. 9 South at end of ramp. Follow Rt. 9 for approximately 1.5 miles. Turn left onto Ridgewood Ave. W. Northridge Townhomes management office is located at 134-A Ridgewood Ave. W.
Take Rt. 9 North, turning right onto Ridgewood Ave. W. Northridge Townhomes management office is located at 134-A Ridgewood Ave. W.